Paint chip art is one of my favorite types of crafts. Why? 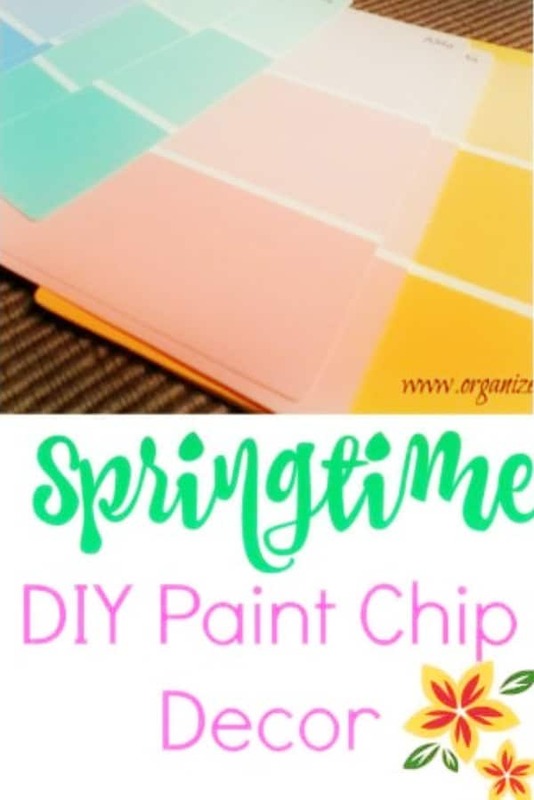 because it is simple and paint chips are a really cheap craft supply! 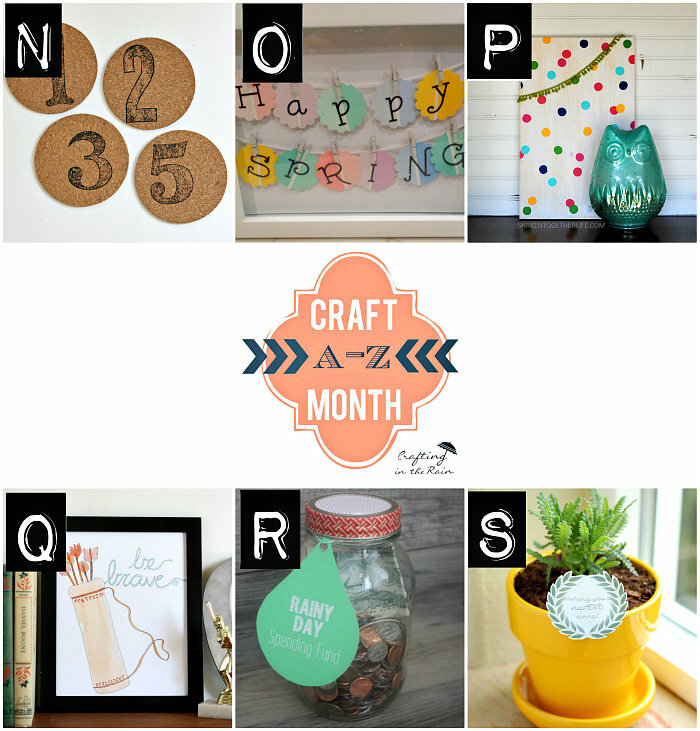 I originally published this post a couple of years ago, but in celebration of National Craft month, I thought I would share it again. Now more than ever, I think it is important to take some time away from all things electronic and just make something! 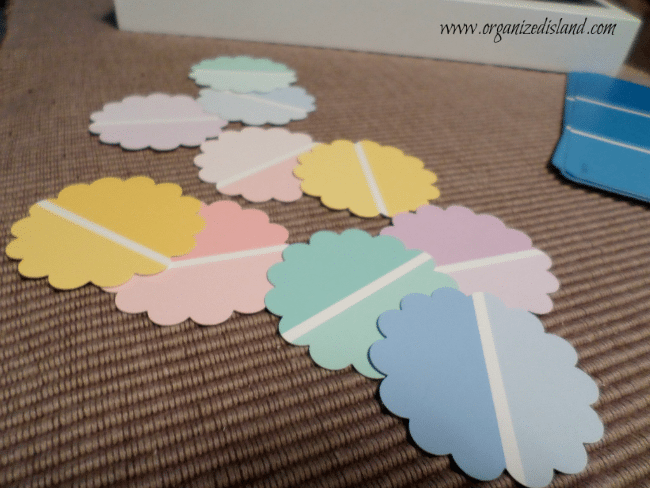 Paint chips come in so many great colors and they really are nice for crafting. You can also use colored card stock. 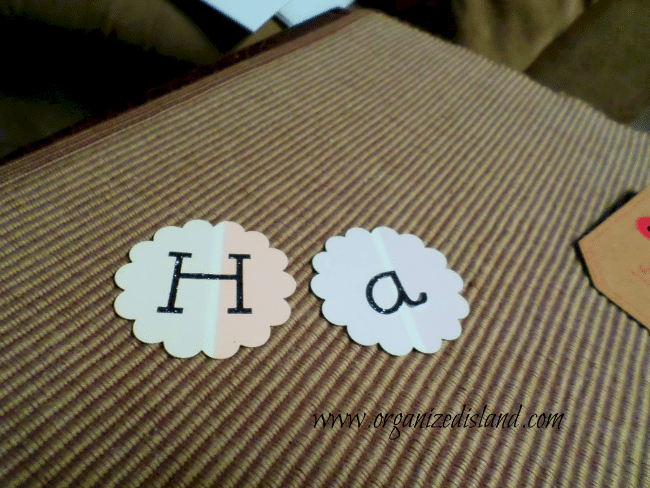 These make fun place card name tags and table signs for parties too! A few years ago Steph from Crafting In the Rain organized an awesome round up of crafts from A – Z. 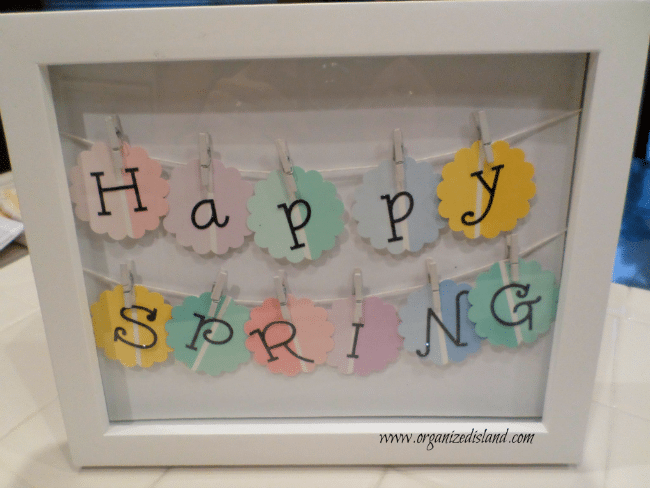 My letter was “O” and my craft was this simple Ombre Paint Chip sign to welcome Spring. It is the perfect craft to make to repurpose a photo frame. 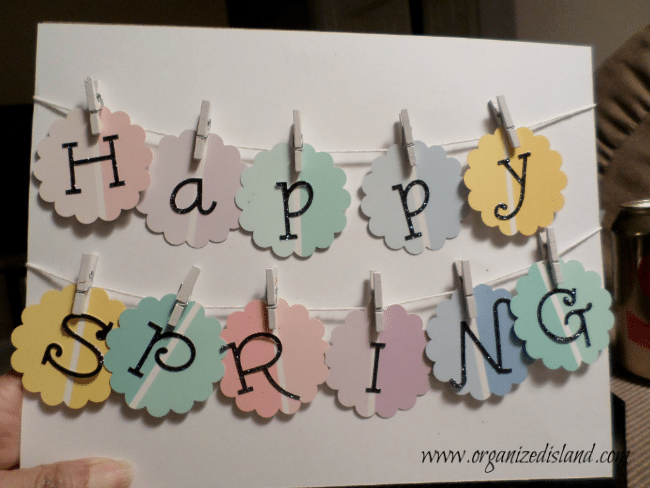 Spring will be here in just a couple of weeks and I am so excited about it! 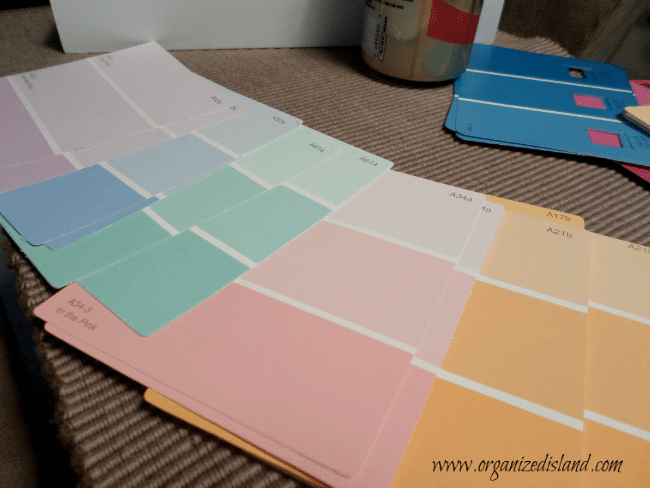 I picked these paint chips because I liked the pastels for spring. I used a flower punch to punch out each chip. Then I took my sticker letters and attached one to each chip. You can write with a marker too, but I had some extra letter stickers I decided to use. Next, I measured a string about 5 inches longer than my frame. 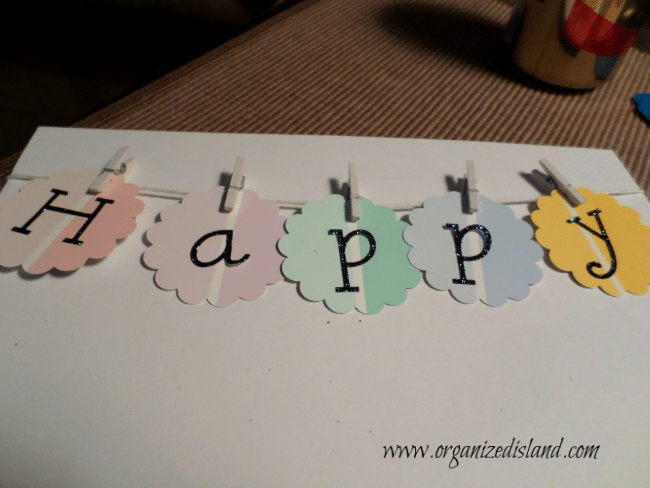 I pinned each cutout letter to the string. Next, I repeated the process with a second string. Next, I taped the ends of the strings on the back of the cardstock. Then I placed it in the frame. 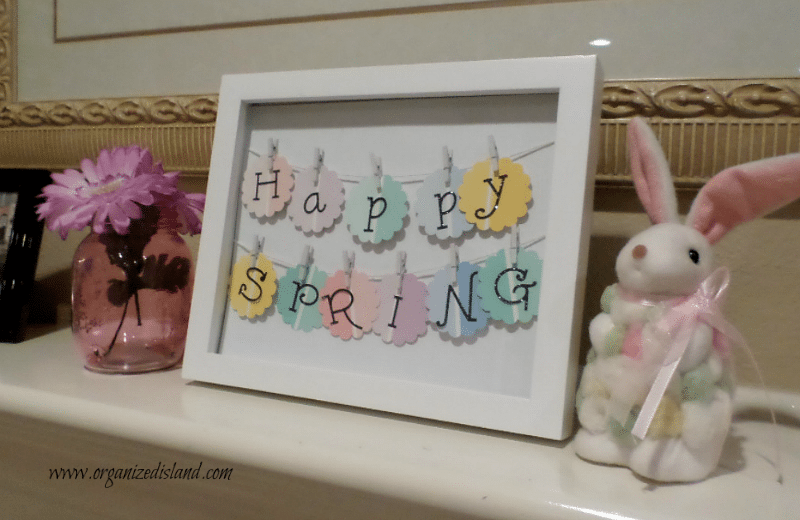 It fits in perfectly with my Easter decor too! Have you ever decorated with paint chips? This turned out SO cute! I love the Spring-y colors you chose! Thank you Keri! It was fun to make too! Ill admit I have had my share of paint chip crafts (thanks Pinterest) but wow this is so cute! I love that you framed it, adorable! only you could think of something so creative and refreshing! I think Scarlet would love to help me with this. 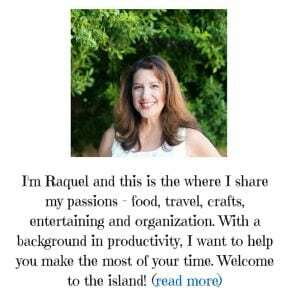 Raquel, that is so darn clever! 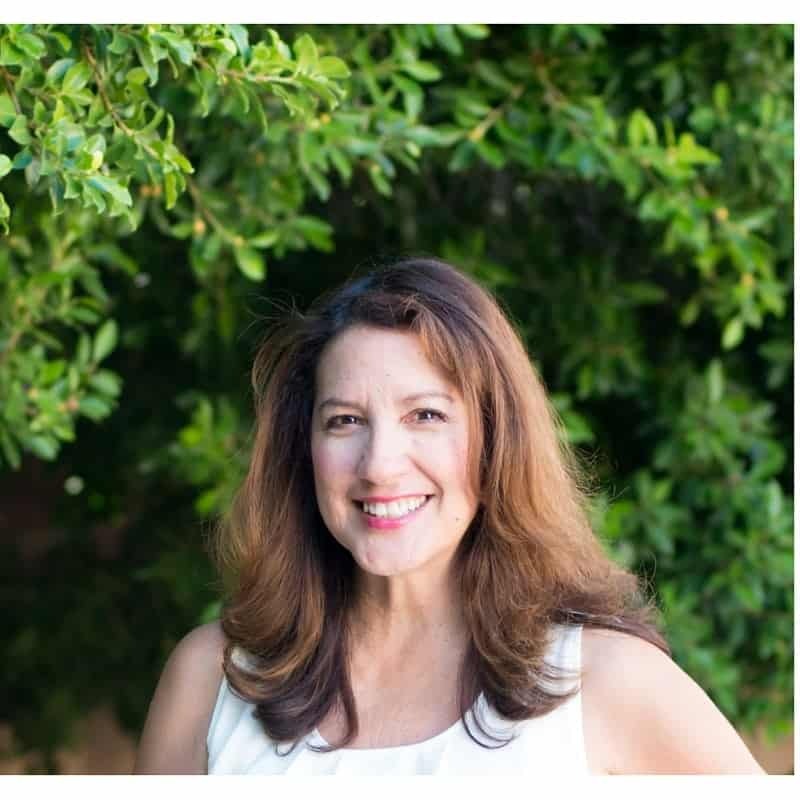 I would love or you to stop by my blog and join our Something to Talk About, Monday-Thursday link party! Thank you Karen! Appreciate your sweet comment. I will be by to check it out. Pinned this! It turned out super cute! Thanks so much for hosting the fun craft party Steph! Loved being a part of such a fun project.